Honda is known globally as a leading Japanese automaker—but did you know many Honda products are made in America? Honda is dedicated to improving the automotive job market by providing work for Americans. 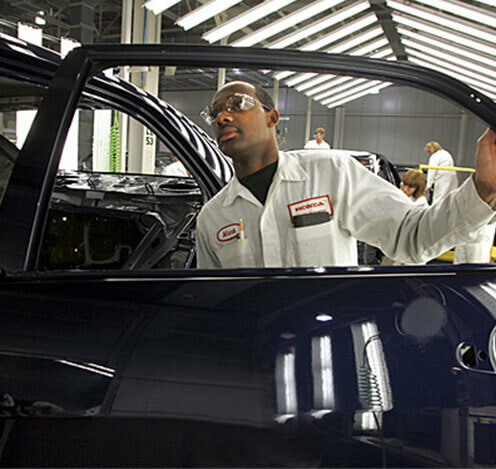 In fact, of all the international automotive manufacturers, Honda has the very longest sustained manufacturing presence in the United States, contributing to the U.S. economy through manufacturing, research and development, finance, and more. When you purchase a Honda model, you contribute to American jobs. Ready to learn more? Come along with us on a U.S. tour of Honda’s red-white-and-blue-through-and-through American presence. You just may be surprised by what’s happening stateside courtesy of Honda! Honda has had a significant impact on the U.S. job market over the years, providing thousands upon thousands of jobs and contributing greatly to the economy in the form of wages paid to U.S. employees. In fact, in 2015, Honda paid out about $2.2 billion in payroll expenses for U.S. employees.Approximately 158,000 jobs are held in Honda automotive, power sports, and power equipment dealerships throughout the country, and 29,500 employees work directly for Honda in the United States, with more than 70 percent of those individuals working on the manufacturing side of the Honda company. 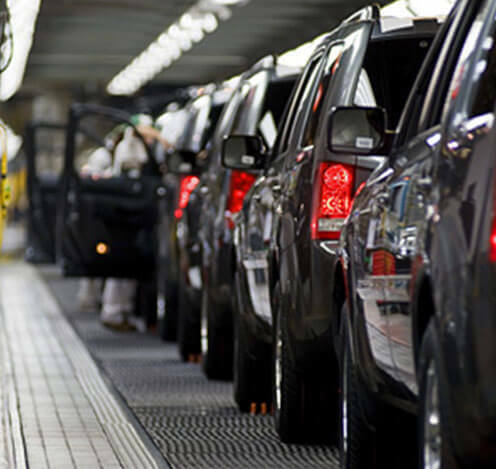 Speaking of manufacturing, did you know that over 99 percent of Honda and Acura vehicles sold in the U.S. during 2015 were made locally right here in North America? Since 1982, approximately 22.4 million Honda and Acura automobiles have been made in America, and Honda now operates an incredible 12 American manufacturing facilities, with No. 12 opening in 2016 in Marysville, Ohio, as the production facility for the Acura NSX—which, incidentally, is the only supercar that is produced in America. Honda additionally operates 14 R&D facilities in America and has invested almost $850 million into its R&D operations in the U.S. These U.S. based facilities take care of all facets of creating new products. Among car and light truck models that have been created for the Honda and Acura brands since 1991, 28 of them have been researched, designed, and developed right here in the U.S.
Michigan drivers are welcome to come to our dealership. You can browse our inventory of high-quality, proudly made-in-America Honda models right now at Jeffrey Honda. Stop by our world-class showroom, or contact us today to explore our current lineup of Honda vehicles in person and take your favorites for a test drive. Meet the Honda vehicle of your dreams here in Roseville, and drive away with a deal that is hard to pass up. We’ll see you soon, America!